The final eight mile approach to our next caravan campsite site is why we chose it, we are winding and zig-zagging our way up a big big hill with dozens of full-kit cyclists, they are panting with exhaustion we are holding our breaths in anticipation of each corner. The views are amazing both North and South, with that in mind we are ultimately a little disappointed with the campsite as the trees seem to block the view from any standpoint on the hill. The pitches remind us of The New Forest and the weather is ‘scorchio’ so how can we complain, I guess purely because we dragged the caravan up a mountain for a ‘view’ and we don’t have one. Unless you stand by the pool. The Boss is not too concerned about the site, he has earmarked this area as a ‘sightseeing’ opportunity and suggests we throw ourselves into tourist mode then move on. I hope he doesn’t have any museums planned, the ones I’ve been dragged around so far are about as interesting as the nail and screws aisle in B&Q. The site arrange a couple of mini-bus shuttles, Thursday for Lucca and Pisa, Friday for Firenze (Florence), he calculates a value in his head based on diesel, car parking, tolls and especially the stress of driving Italian roads, then heads to reception to see what the real price is. It seems he calculated well, their profit margin equaled his stress margin and both trips came in €1 less than ‘his’ price of €40 total. Booked. Today is Wednesday and we want to see a couple of places specifically recommended by the German couple back at Innsbruck. We jump in the car and career down the mountain like the locals in our best ‘can’t beat them, join them’ style. 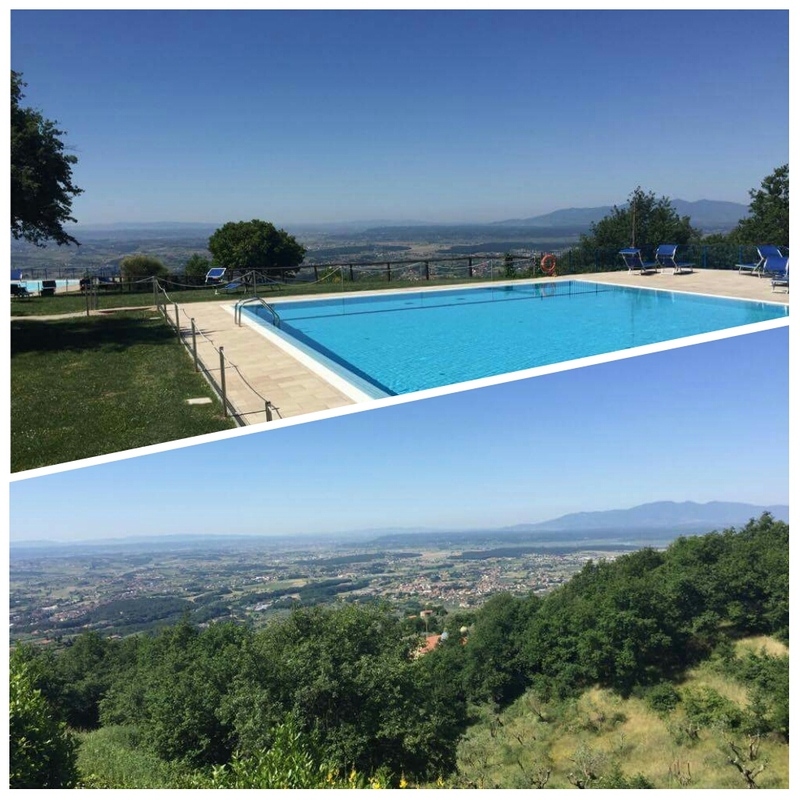 Now we wanted to call this blog ‘Italy, endure it to enjoy it’ but that conjures up too much negativity, to explain, the country is spectacularly beautiful in towns and countryside but you have to earn your enjoyment. Driving is a challenge for the unwary, if two or more cars are heading in the same direction, the cars in front are not ‘ahead’ they are ‘in the way’ and must be passed at all costs. Country roads, particularly Tuscany, have deep cracks and major subsidence almost continuously, what would require a total closure in the UK just gets a 50kph (31mph) speed restriction here, and that’s another oddity, speed limits in some residential areas can be 60kph then in the middle of nowhere with only an olive tree to crash into it can be 50kph. 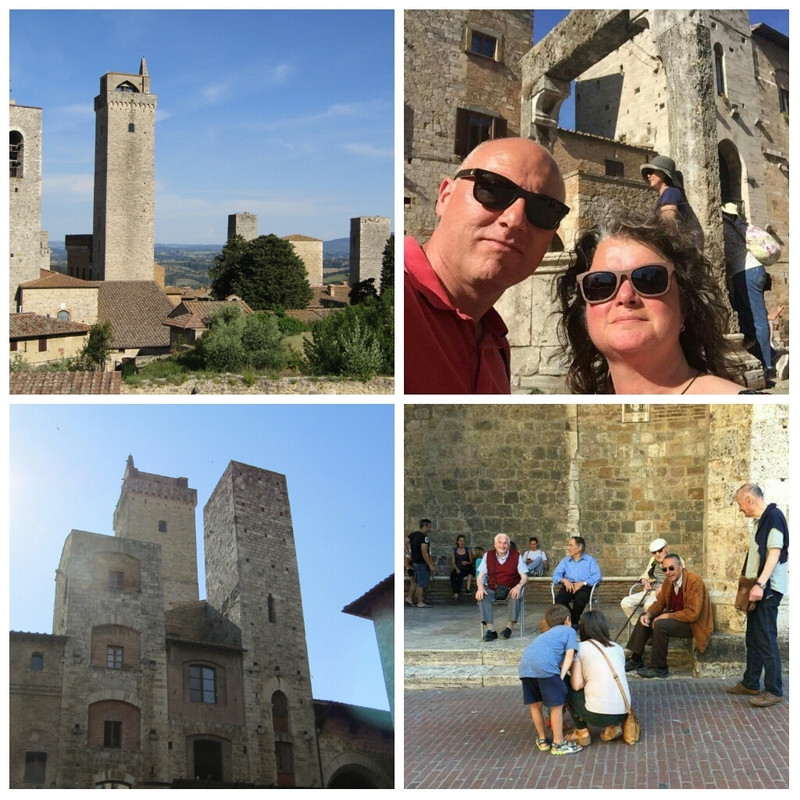 San Gimignano is a treat. As you approach it looks like a medievil New York skyline with about twelve towers reaching into the sky on another walled hilltop town, apparently there were over two hundred towers at one point in history of greater height. The mini-bus arrives, late! 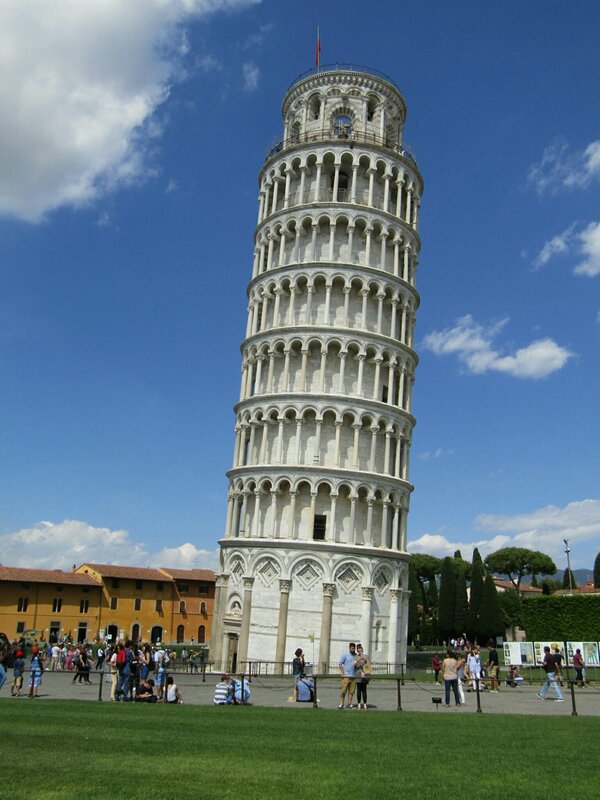 To take us to Pisa, the long way. We are dropped in a petrol station and told to be back at 17.30. One minute later we walk through an ornate gateway, armed soldiers remind us about current times, events back home and the vulnerability of large crowds. 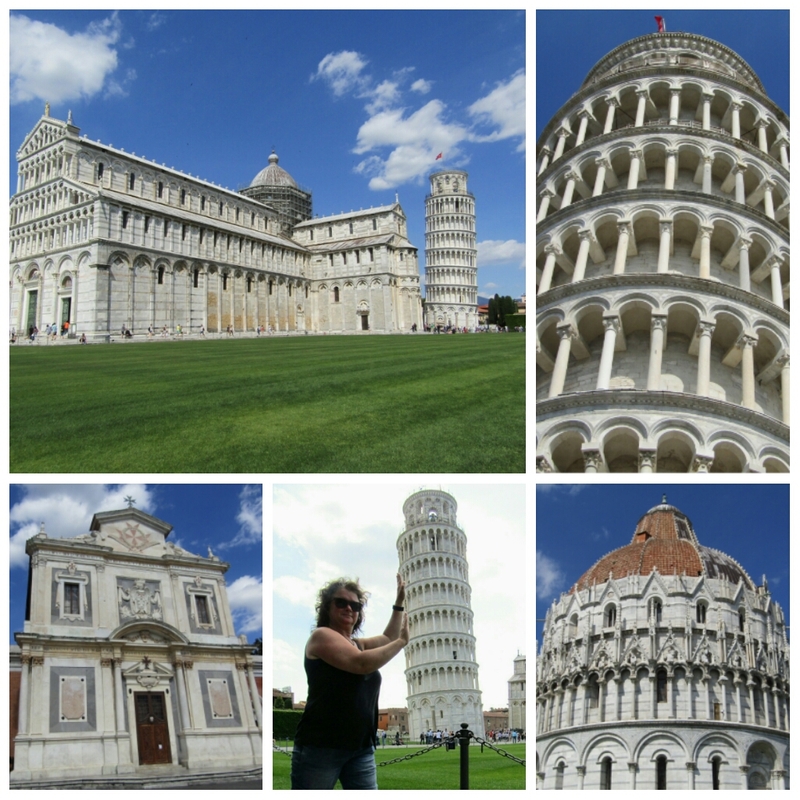 The leaning Tower of Pisa is instantly recognisable peeking around the top of the Cathedral, it is impressive, in the bright sunshine and against the deep blue sky we are struck by how ‘white’ it looks, like it was built yesterday. You genuinely can’t take your eyes of it, but be careful if you don’t as you will bump into people holding their palms in the air looking stupid to take ‘that’ photo of them holding up the Tower. We don’t want to look stupid so don’t bother, then spot an ideal opportunity around the quieter back area and decide ‘can’t beat them, join them’. 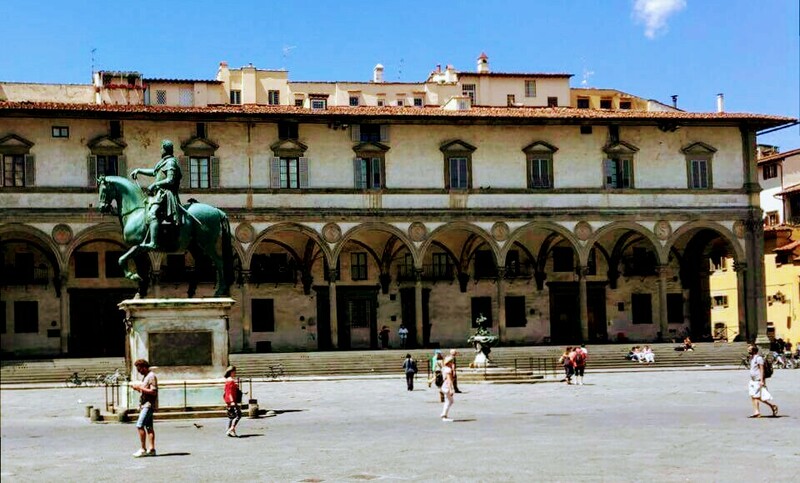 The one circle on our map seemed appropriate, as apart from another picturesque Piazza around the corner that was full of scaffolding nothing else really appealed to us. 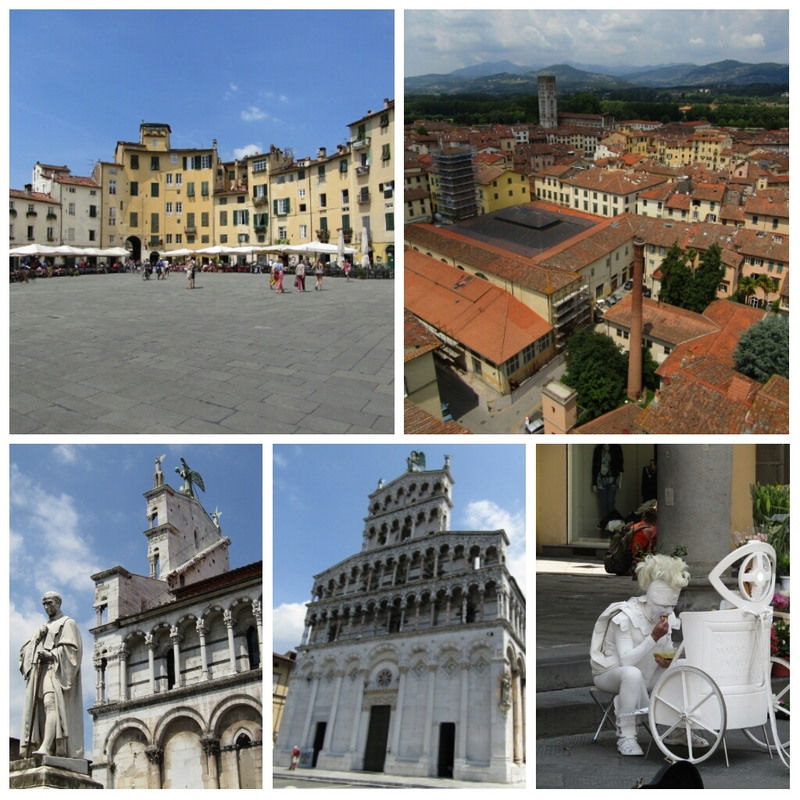 Probably slightly unfair on Pisa, but we have now been spoiled by lots of beauty before them. We kill time lay down on the immaculate lawns under the view of the Tower while we wait for the mini-bus that arrives about 17.45. 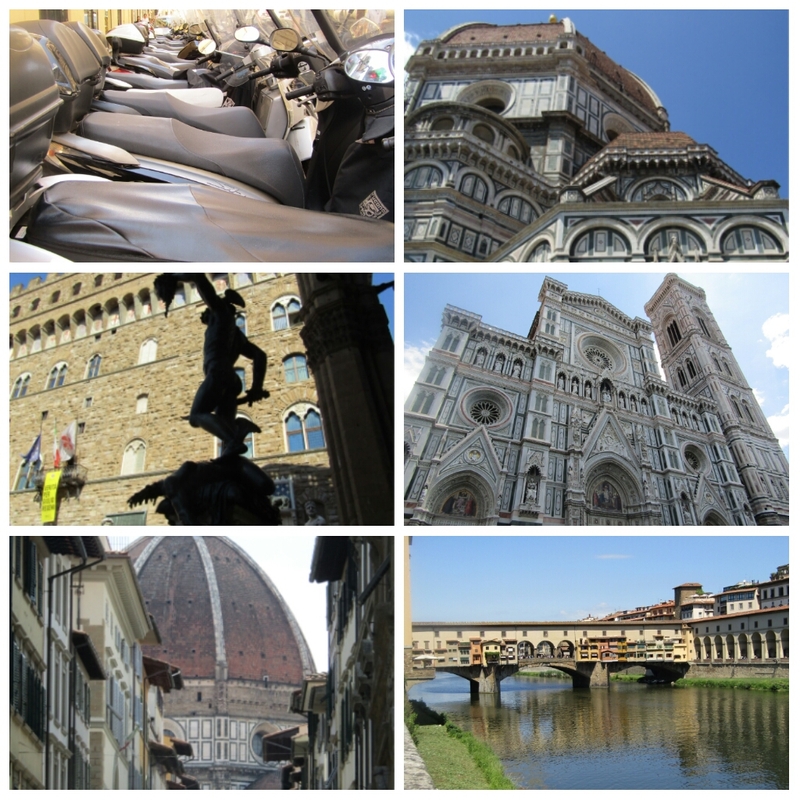 Friday, and time to go to Firenze (Florence for you British people). To be honest, three days of sightseeing is making us weary, how the people on those coach tours cope, jumping on and off coaches and traipsing around after a person holding a flag in the air, we will never know. It is hot, very hot, the mini-bus is almost on time and is bigger to cope with sixteen people, as expected we toured all the free roads in Tuscany to get there while the driver simultaneously made numerous essential phone calls that inconveniently forced him to drive ‘no hands’ to negotiate roundabouts and change gear. We are kicked out at the bus station in Firenze. The Boss, eager to demonstrate to the other passengers, now desperately reviewing their maps, that the British don’t need maps started walking. One minute later we are walking along platform sixteen of Firenze railway station with sixteen others following us. We had to ‘cool it out’ and luckily there was no ticket collector at the platform exit and we walked heads high out the station. We needed a ‘wee’ and The Boss doesn’t like to use the McLoos if not a customer, but he hates paying €1 even less so we are now walking looking for cheaper options. To think, we once wrote a blog called 20p for a wee, you can buy cans of Cola for €1 here, so it’s €1 in and €1 out. A decent looking restaurant beckons us for food (and a wee) so we stop and eat watching the world rush by. Today’s trip is eight hours and despite many, many fabulous landmarks and sights we find ourselves a little bored at times today. Even if museums were ‘our thing’, and they are not, I doubt we would have joined the queues, of mostly American people, in the scorching heat. We needed some green space to lay down and chill but it was all on the fringes of town. We’ve definitely had our fill of towns and cities now, no matter how beautiful, think we need some downtime by the van. Once again we kill time People watching . 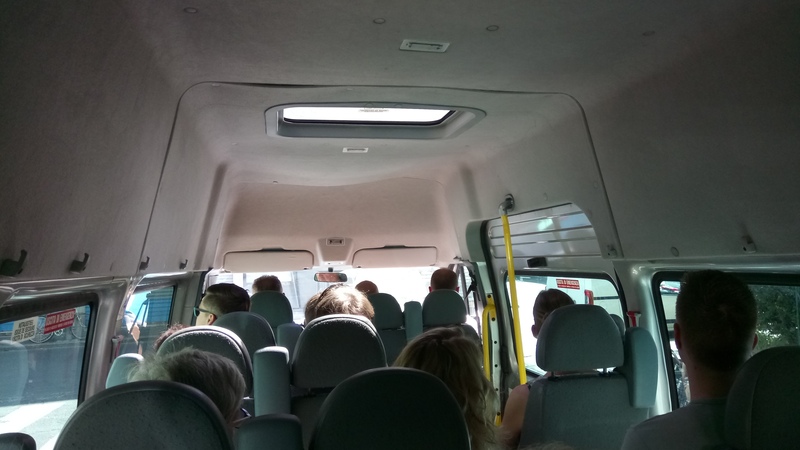 The mini-bus arrives, eventually, the air-con is not working which for some reason hasn’t instigated the opening of all the windows, it is now bloody hot, we paid in advance so I don’t think our arrival ‘alive’ is a condition of travel. We get totally stuck in rush hour Firenze traffic, passengers are desperately fiddling with window latches that don’t want to open, just at the point where a last text to the kids was being considered we managed to budge the Windows, everyone copied and air rejoined our lives. Funny, the driver must have been due to clock off, we went home the direct ‘toll’ route. Woke up this morning by The Boss swatting Ants, “We’ve got a few” he says, followed by “What the….” the kitchen sink hosted a million, no joke, small Ants. He quickly decided if that’s the way they came in they could leave by the same route and had taps on full, the next two hours was spent emptying the caravan and dealing with lines and lines of walking dots. No photos sorry, never crossed our minds to do an Ant Invasion selfy. Our tourist fatigue has adjusted our plan to visit Cinque Terre, probably one of the ‘must see’ sights in the area, but we can save that for the next time, and there will be a next time. For now we head for the French border, the Formula 1 Grand Prix in Monaco may force us to wait a day longer, so in the meantime, we chill. What’s the name of the campsite? 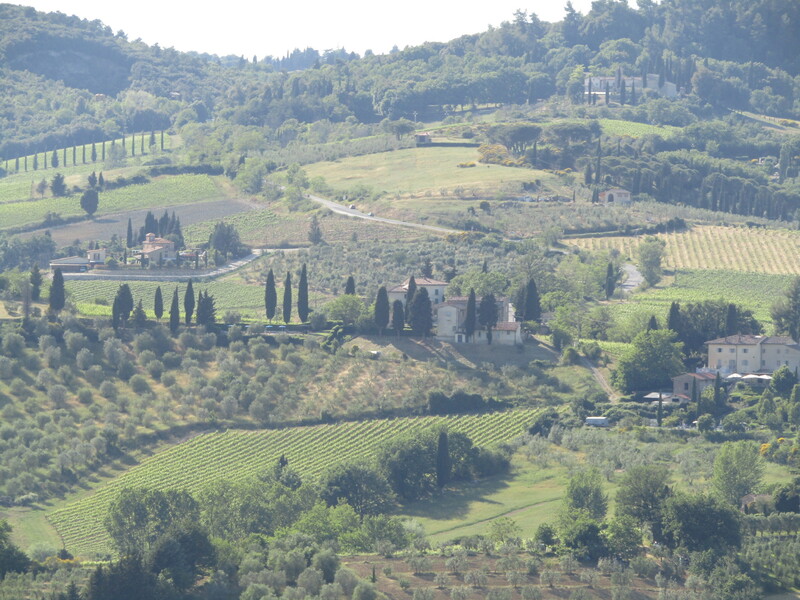 San Gimigano Looks amazing we will have to visit that one. The theatre looks amazing. Do you take all your own photos? Camping Barco Reale. Should be a review out soon. We take all our own photos. Any taken by other people will always be credited to them. 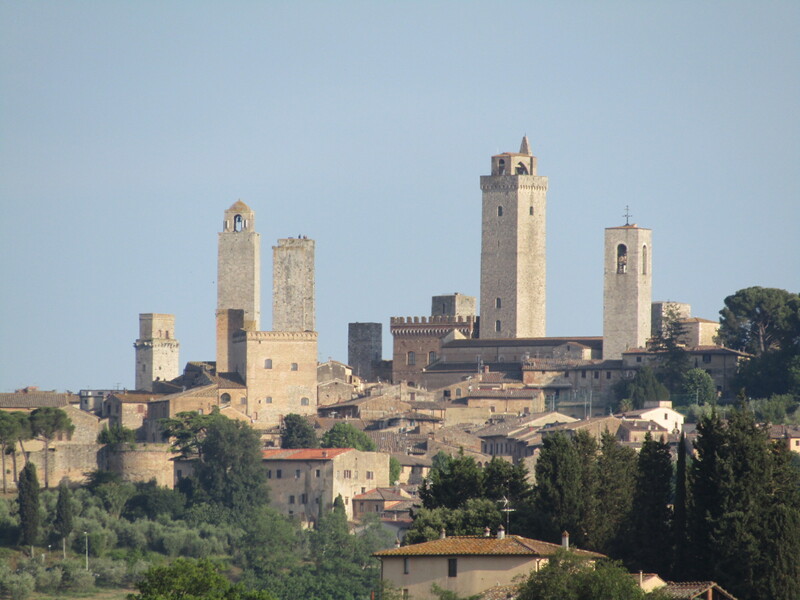 Hi Simon, apologies, spelt San Gimignano wrong in blog, corrected now. 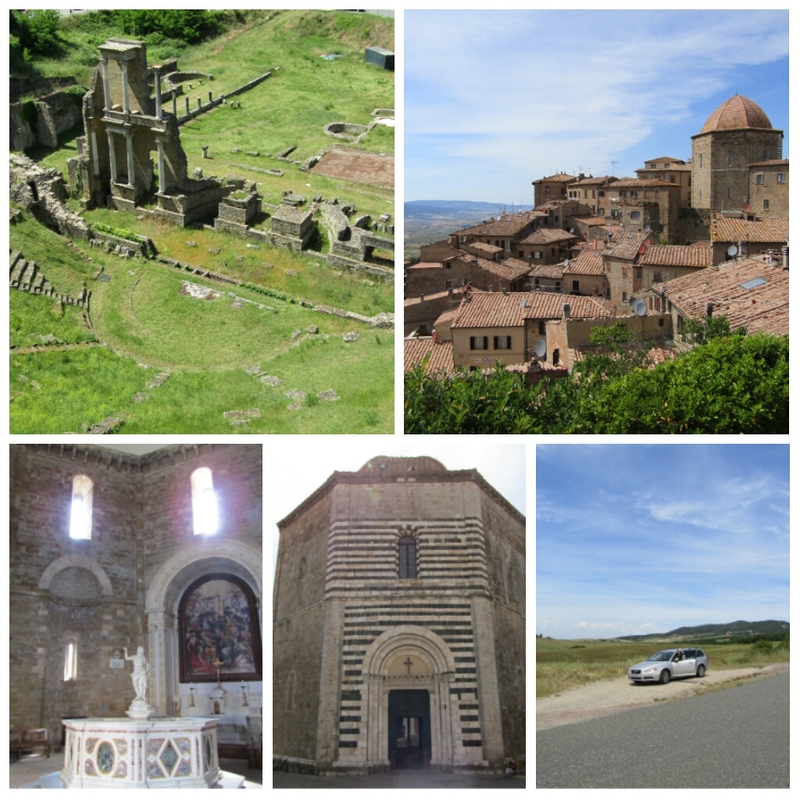 The Theatre is in Volterra, both towns are close in distance and best done together. Nice pics. Not sure I’d enjoy the scorching heat too much. Like you after a few towns and cities we get a bit stir crazy and need a chillax fix.